Quality of its products and services has been one of the fundamental factors in the business strategy of GURELAN since 1934. Our customers´ satisfaction is the best guarantee for our continuation, development and leadership in our field. For that, it is necessary to know the real needs of our customers and supply the services that fully satisfy their demands. 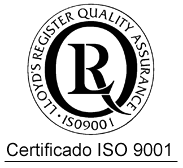 With this in mind, GURELAN has developed and implanted a Quality Assurance System, which meets the requirements of the UNE-EN-ISO 9001:2015 standard, with the participation and collaboration of all our employees. Application of the UNE-EN-ISO 9001:2000. Quality Department equipped with the resources to support production, and for the satisfaction of the customers needs. Our entire Qs System is implemented automatically in our M.E.S System in real time. Our quality department has all necessary technical equipment to respond to the highest demands from our customers, such as: a threedimensional measuring machine, durometer, zoom microscope with photo and video monitor, profile projector, glossmeter, light box, precision balance, micrometers, comparators, gauges, marbles, calipers, etc.